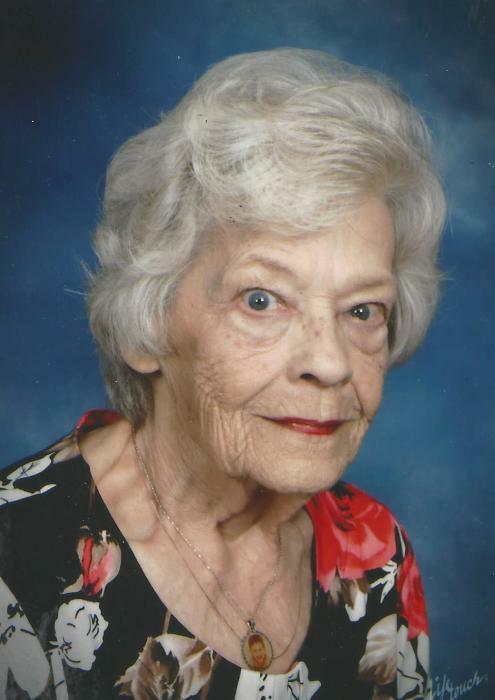 Dorothy Perry Mullen, 87, of 1484 Clifton Pond Rd died Wednesday, November 7, 2018 at Transitions LifeCare. Dot was a loving and devoted wife, mother, grandmother and great-grandmother. Dot is preceded in death by her husband, W.A. “Owen” Mullen of Bunn. Graveside services will be held at 11:00 am Friday, November 9,2018 at Pine Ridge Baptist Church Cemetery with Rev Steve Barham officiating. Surviving are: two daughters, Vickie Helms and husband, Randy of Louisburg, Gail Hocutt and husband, Bobby of Bunn; step-daughter, Carol Williams of Wendell; grandchild, Jessica Jeffreys and husband Timmy; step-grandson, Travis Williams and wife, Rebekha; great-grandchildren, Caroline, Langdon and Molly Williams also her treasured great-grandson, Connor Owen Hocutt. Flowers are welcome or memorial contributions may be made to Transitions LifeCare, 250 Hospice Circle, Raleigh, NC 27607.